MOSCOW, September 5. /TASS/. Google has been holding talks with Russian authorities concerning videos advertising unauthorized protests during the election campaign, head of Russia’s media watchdog Alexander Zharov said in an interview with the Kommersant FM radio station on Wednesday. "The situation is perfectly clear - advertisement tools, including the pre-rolls of the You-Tube video-sharing website belonging to the Google company, are used for promoting unauthorized activities in a number of Russian cities, where elections are scheduled to be held on the Unified Election Day," he said. 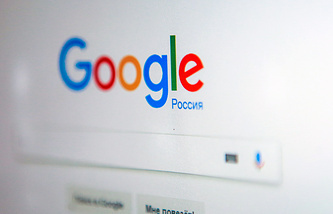 "The Central Election Commission, the media watchdog, the Federal Antimonopoly Service and the Prosecutor General’s Office have expressed their concern to Google, as these unauthorized activities voice political demands and may influence the elections’ results, which means that it is a blatant interference in Russia’s electoral process," Zharov added. "Google is in dialogue with Russian authorities. Further developments will depend on the dialogue’s results," he noted.